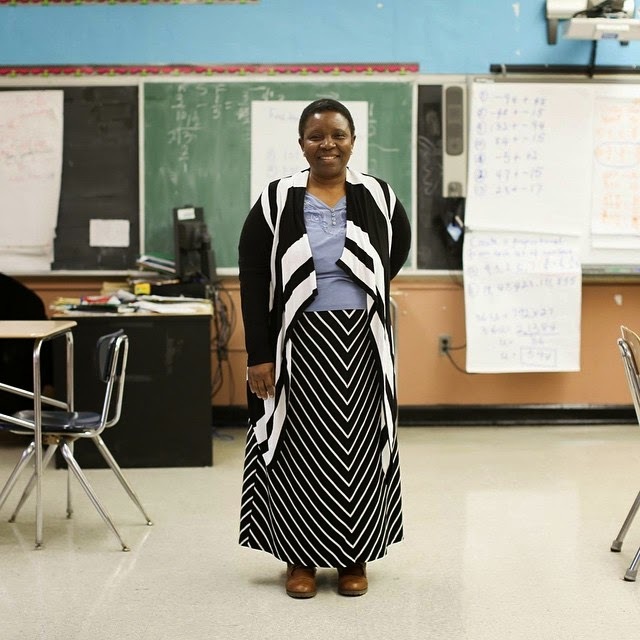 Yesterday, I told you about the fundraiser by Humans of New York photoblogger who has raised almost $1 Million in a donation drive for a school in inner city NY. Read the story here. But what I didn't know until I looked further into the page was that the Nigerian teacher Ms Achu, pictured above, sparked the idea for the fundraiser to expose and enrich her students through taking them to the prestigious university. I spent yesterday afternoon in a brainstorming session with Ms. Lopez and her assistant principal Ms. Achu, trying to think of creative ways that the HONY community could help further the vision of Mott Hall Bridges Academy. Our discussion covered many needs, but we kept returning to one in particular— the limited horizons of disadvantaged youth. 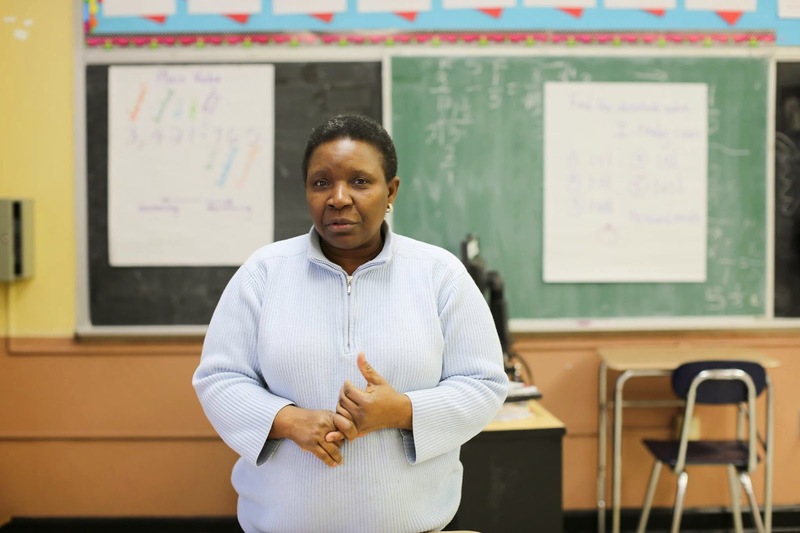 Ms. Lopez’s school is situated in a neighborhood with the highest crime rate in New York, and many of her scholars have very limited mobility. Some of them are very much ‘stuck’ in their neighborhood. And many have never left the city. “It can be very difficult for them to dream beyond what they know,” Ms. Lopez explained. So the three of us struck on an idea. (OK, it was Ms. Achu’s idea, but we all agreed.) We want to create a fund that will provide each incoming 6th grade class at Mott Hall Bridges Academy a chance to get out of their neighborhood and visit a new place. And that place is Harvard University. “I want every child who enters my school to know that they can go anywhere, and that they will belong,” said Ms. Lopez. So we’re going to try to make it happen! Let’s help this visionary educator enrich the lives of her students. And what is Ms Achu's life story? And with all the money donated so far, the children can do more than visit Harvard, they will also have a scholarship to attend if they can qualify. Read the update below on the page and donate. I am happy to announce that all funds raised over $700,000 will be reserved for a final purpose. We are starting a scholarship fund available to the graduates of Mott Hall Bridges Academy. A committee of MHBA educators and administrators will choose the recipients each year. We’re going to use the money from our fundraiser to get it started, but we’re also going to lay tracks so that it can hopefully continue to assist scholars for years to come. It will be called The Vidal Scholarship Fund. And the first recipient will be Vidal.